Here's a list of Skills for all 4 Stars Light Element Heroes in Bloodline: The Last Royal Vampire mobile game. If you want to know the new skill set of your 4* heroes after evolving them from 3*, or if you are looking for a nice Light Hero to add to your team, then you may refer here for information. - White Sun II: Summon a wave of high-intensity laser beams, dealing moderate Light Element damage to all enemies. - Alsy Potion II: The second-generation "Lavigne of the Holy Light" treatment (also known as Alsy Potion) has been developed, increasing damage by all party members by 5%. - God's Rage II: All party members regain 15% HP after a CRI hit, and extra 45 Fury after the first CRI hit. - Heal Barrier II: Eagle prays for the power of the Holy Light, restoring a moderate amount of HP to the 3 party members with the least HP. - Lament II: Eagle's Fury increases by 30% when a Squad mate dies. - Regen II: At the start of every battle, all party members regain 30% HP. - Ruin Blade: Eron performs 3 sword energy slashes in a flash, dealing moderate Light Element damage to a single enemy. - Fade Sword II: When under Sickness, the player's HP will decrease over the course of the battle although damage dealt will also slowly increase: ATK stat will increase by 10% when in the same party as Ken. 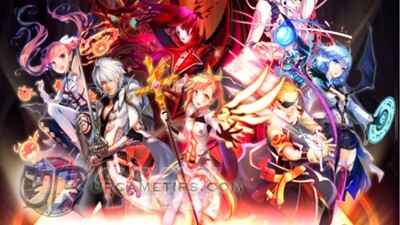 - Holy Support II: Damage from the ULT Skill of all party members is increased by 60%. - Holy Defeat II: Benfo bathes in the Circle of Healing, restoring a small amount of HP to all party members. - Sura S. Leader: Sura S. stabs the party leader, increasing the ATK stats of her Squad mates Claw, Gina, Light Soldier, and Kira by 10%. 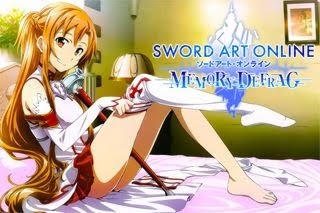 - Amber Knight II: 3 rounds of severe Light Element damage to a single enemy, with a chance to lower enemy DEF by 30%. - ULT Special II: Ken obtains power from his two swords, raising ULT Skill damage by 20%; damage caused is increased by 10% if he is in the same party as Eron. - Battle Aura II: All party members cause 20% more damage. - Max Blast II: Aim "MK Thunderflash Type IV" high-spec laser missiles at enemies, dealing minor Light Element damage to all enemies. - Sisters Unite II: When Nana and Ling fight in the same battle, Humanoid Girl Killer mode is activated with ATK stats increased by 10%. - Preemptive II: Before a round starts, party members with full HP will cause 45% more damage. - Dead Link II: The War Sword slashes and deals severe Light Element damage to a single enemy. - Assassinate II: Pep, with the strength of the Target Field, has his CRI damage increased by 75%; DEF and REC are increased by 10% if he is in the same party as Eagle. - Holy Fury II: All Light Element party members cause 35% more damage. - Onslaught II: Shilda rushes at the enemy line, causing sever Light Element damage to a single enemy with her spear. - Holy Charge II: Shilda masters the skills of the knight: the greater is the charge distance, the greater is the damage. - Guard Aura II: All party members gain a 30% increase in DEF. - Holy Grace II: Yuri sings protection songs, helping all party members recover a small amount of HP. - Angel Grace II: Yuri receives Angel Grace: immune from paralyzed, petrification, skeletonification, and poison. - Guard Ring II: All enemies cause 15% less damage.